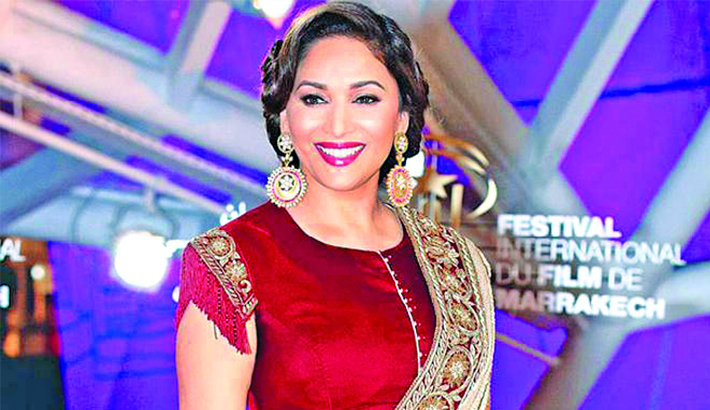 Actress Madhuri Dixit Nene and her husband Shriram Nene’s upcoming Marathi production 15 August is set to release on Netflix on March 29, reports Mid-day. “There’s always been a part of me that wanted to create and back meaningful films, and there couldn’t be a better starting point for me than ‘15 August’,” Madhuri said in a statement. She added: “This is an endearing, relatable story that has been brought to life beautifully by the talented Swapnaneel Jayakar and actors Rahul Pethe, Mrunmayee Deshpande, and Adinath Kothare.” Set in a Mumbai chawl, the film follows the course of a series of mishaps that occur on a single day, as its residents prepare for the Independence Day flag-hoisting ceremony. The film revolves around how the course of the day unfolds on a not-so-typical Independence Day—when a lover, in his quest to win over his beloved, ends up creating complete mayhem, compelling all the residents to unite and help him out of his mess. The film highlights what independence, love and affection mean to the residents of the colony.